Here's the deal, The Gate cares about one thing more than anything else, Jesus Christ. We are a family of individuals that have found hope in Jesus, and simply want as many people as possible to experience that exact same freedom. The Gate turns 106 years old this year. Our church was started many years ago in this same neighborhood. As you get to know us you'll notice that we are still very connected with our neighborhood. What's the bottom line? 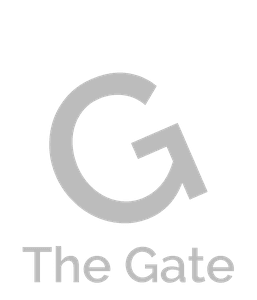 More than ever, The Gate is committed to bringing our friends and family from the crowd of the world to the core of the Kingdom of Jesus Christ. As we move forward as a church family, inclusion and belonging remain at the center of who we are as followers of Christ. We have Campuses that are in Hammond & Munster Indiana. We also have a Spanish Campus. We love to meet the needs and we have a grander vision for reaching and teaching many than ever before. What does this mean for you? Most importantly, you're always welcome at The Gate. We're saving a seat for you. Wherever you're at in your faith journey, you'll always be accepted as part of the family. To be a gateway to take a person from the crowd of the world into the core of the kingdom of Jesus Christ. Those seeking a relationship with Jesus Christ. Those who have chosen to make Christ their Lord and Savior. Those who are Directors and Decision makers in The Gate. We are a place of safety and security.Our mission is to create a place where people feel the protection of God and the protection of each other. We take great care in creating a safe place of our children and students. We also treat each person who attends The Gate with respect and Honor. Each of our ministers and Worship experiences is rich with the presence and atmosphere of God. We invite the Holy Spirit to lead in all areas of The Gate. We believe in the Authority of God as the ultimate Judge of our lives and actions. We also believe in the inherency of Scripture and the Bible is our transcendent standard for life and living. We want to be an entrance for those looking for God. We offer a clear message of the Gospel of Jesus Christ in each of our services, classes, and Groups. We believe the Church is the Gateway to the Kingdom of Jesus Christ here on earth.